At this weeks Robert Burns Centre Film Theatre Film Club we where fortunate to have in attendance David Smith one of the producers of Shell (2012) and Managing Director of the production company Brocken Spectre based in Scotland. Regular visitors to the RBC may remember the original short film version of Shell (2007) and you may also remember another short film Native Son (2010) that was also produced by David and shown here in September 2010. The director and writer of both these very well received short films, Aberdeen born Scot Graham, has now expanded Shell into a full-length feature film. It was nominated for three awards at the 2012 BFI London Film Festival including the Best Newcomer Award for Chloe Pirrie and Scott Graham. It also won the Sutherland Award, which is an award presented for the most original and imaginative feature debut at the festival. 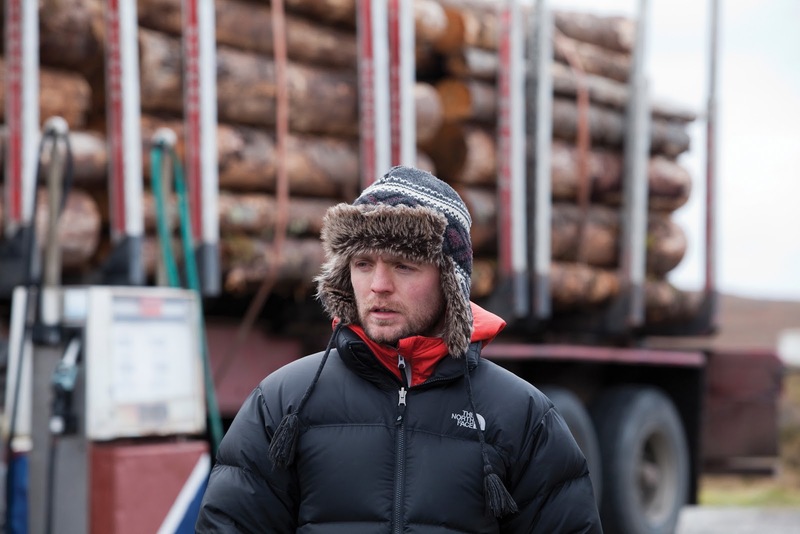 Director Scott Graham on set. 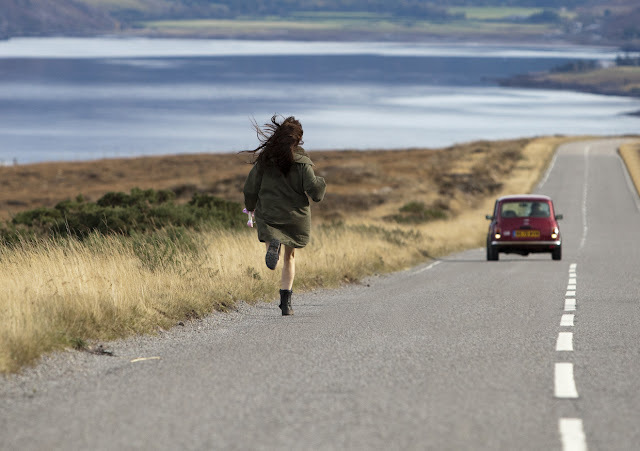 Like the short, the feature length film was shoot near Little Loch Broom in Dundonnell, Wester Ross situated in the Highlands of Scotland and again its overriding theme is loneliness. Shell is a 17-year-old girl, played by the wonderful Chloe Pirrie, who lives and works at a desolate run down petrol station with her withdrawn and softly spoken father Pete (Joseph Mawle). Her mother left them on a passing truck when Shell was only four years old. While Shell serves petrol to infrequent customers her father dismantles wrecked cars for scrap. Their relationship has always been good but now Shell is turning into an attractive young woman she reminds Pete of the woman that left and broke his heart. 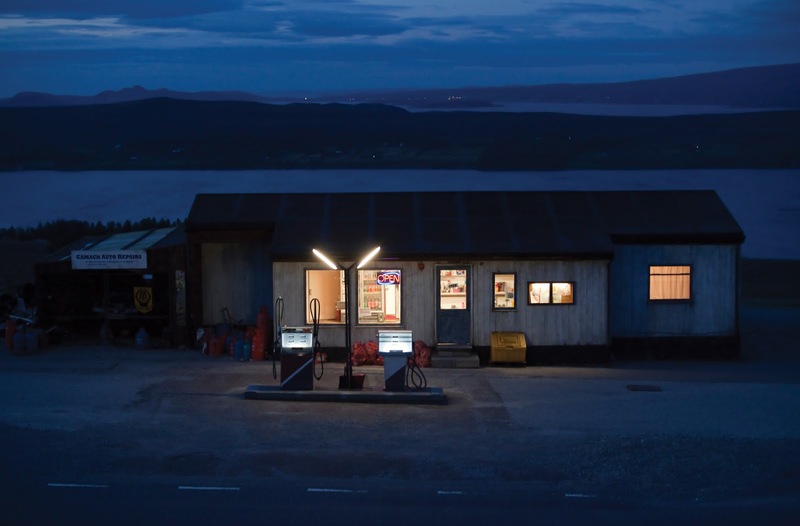 The isolated petrol station above Little Loch Broom. After the film had finished David was invited to take part in what turned out to be a very informative question and answer session expertly conducted by Richard Ashrowan who is the Creative Director for the Alchemy Film and Moving Image Festival in Hawick which incidentally was set up as an annual festival focusing on screening work that in some way relates to the natural world, to landscape and to mankind’s relationship with natural forces. with David Smith and Richard Ashrowan. David explained his role of producer as developing the production along with the director/writer and making sure that the project was brought in on time and within budget. 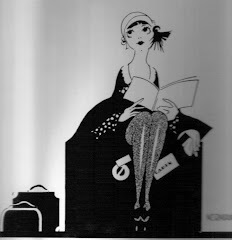 Another of his responsibilities was arranging the finance. He told us that it came from various sources including the BFI, Creative Scotland and the German TV Company ZDT/Arte, a representative of whom he had met at Cinemart in Rotterdam. The tie up with the TV Company meant that it could be shown on European television. The final budget was in the region of £1.035 million this enabled them to build the garage on a steel deck on the Tim Rice estate, although obviously as a temporary structure it had to be demolished at the end of filming. Which, as David explained to me afterwards, the locals were a great help removing anything of use to them! As the story was contained in one place all the filming was done on location with the inside of the structure being designed for ease of access and made the logistics a lot easier. David agreed with Richard that the weather, the background and the beautiful wild landscape were characters in there own right adding a hushed and haunting feel to the production but giving a strange claustrophobic impression to the wide open spaces. The penetrating cinematography of DOP Yoliswa Gartig takes full advantage of the sights and sounds of its bleak isolated setting, which was a metaphor for the loneliness of Shell and her father. Shot in September and October on digital rather than film for cost reasons; our guest described the movie as a roadside movie rather than a road movie because neither of the protagonists really leaves the garage. Shell as played by Chloe Pirrie. Taking questions from the floor David went on to explain how it was decided to turn a twenty-minute short into a 90-minute debut feature film. He said that once the short and its companion piece (Native Son) was made they knew that there was potential for a bigger, and slightly different, story to tell and that Scot Graham’s writing was so good that they could adapt and improve the story to fit the format of a feature film. There was however a scene deleted from the finished film, which involved two deer hunters who came into the garage and threatened Shell, because it was felt that it would spoil the poetic feel of the story. As normal with the film club the soundtrack, or lack of in this case, was raised. 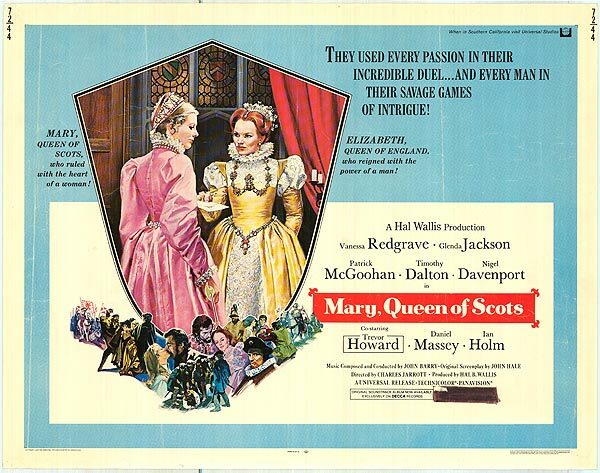 It was made quite clear by Scot Graham from the beginning that he would only use natural sounds because he did not want to impose, or encourage, the audience to have emotion’s that were forced upon them, the intention was to rely on what was actually happening on screen and portrayed by the actors which I must say worked. 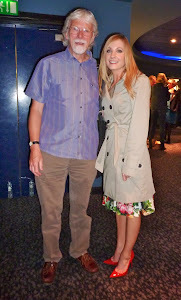 Shell with her father Pete (Joseph Mawle). I felt that David was put on the spot when asked why Scottish film is so miserable and bleak? But quite rightly he pointed out that it is normally the debut film from a Scottish director that warrants this description and he gave the examples of Peter Mullan’s Orphans (1998) and Lynne Ramsey’s 1999 debut Ratcatcher. While on the subject he told us that the movie takes as its reference point’s the Scandinavian cinema of Lukas Moodysson, Scott Grahams favorite director Andrei Tarkovsky, American cinema of the 1970’s and the Bill Douglas Trilogy 1972-1978. 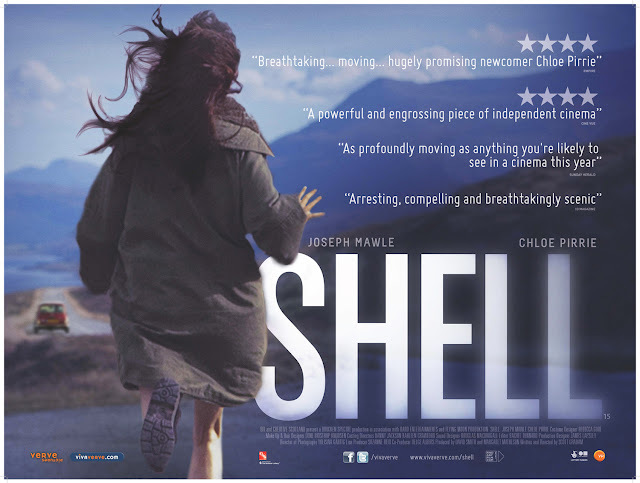 He was then asked about the cast and although Edinburgh born Chloe Pirrie was always the first choice for the role of Shell, her debut feature film, a long casting process did take place. He went on to say that the other actors involved may not be household names but they are very experienced and you may have seen Joseph Mawle, who plays the epileptic Pete, in many TV productions like HBO’s Game of Thrones or the BBC drama Five Daughters as well as feature films that include The Awakening (2011) and Made in Dagenham (2010). Others involved include Michael Smiley (Hugh) who is best known for his role as a hit man in Ben Wheatley’s Kill List (2011) and the wonderful Scottish actress Kate Dickie (Claire) who has appeared in many TV productions and feature films including Red Road (2006), Donkeys (2010) and Prometheus (2012). Will Shell ever escape from the confines of the garage? A general examination of the film followed where the era was discussed and it was agreed that it was timeless although some of the audience believed it to be based in the late 1980’s because of the Dire Strait track played on a radio. It was also felt that the delicate balance of Shell’s growing sexuality and the constant threat of an incestuous relationship between her and her father gave the film a hint of the thriller genre. It was also agreed that the deer included in the movie were identified with our leading lady especially her eyes, she is I believe the beating heart of the film and an actress that’s quite capable of expressing feelings without the use of dialogue. It was pretty unanimous that Shell was a fine piece of work that grips its audience in a minimalist way at the same time demonstrating the effects of loneliness and isolation. 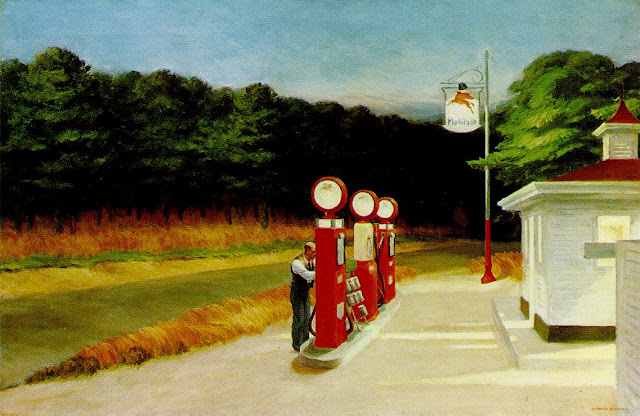 Theres a strange similarity between Edward Hoopers painting and Shell and Pete's garage? Another memorable night at the RBC in Dumfries where we were fortunate to witness the beginning of promising career for both the director Scott Graham and actress Chloe Pirrie and I’m sure we can look forward to seeing future work from both of them. Also I would like to thank David Smith for taking time out to attend the Q&A and for Richard Ashrowan for doing such a great job of conducting it. Photo used with permission from Alec Barclay. 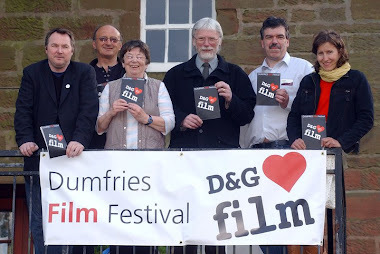 Alchemy Film and Moving Image Festival was initiated as a collaborative project between Borders Arts Trust, Heart of Hawick and Creative Arts Business Network (CABN) in 2010. The first Alchemy festival was held in September 2010. Richard Ashrowan, a Scottish Borders based moving image artist, is Creative Director of the festival.